The following interview was recorded live at the North American Menopause Society, or NAMS annual meeting. Founded in 1989, NAMS is North America’s leading non-profit organization dedicated to promoting the health and quality of life of all women during mid-life and beyond, through an understanding of menopause and healthy aging. Hello, this is Dr. Prathima Setty, and I am your host for this segment on ReachMD. Today we have with us Dr. Bethanee Schlosser. Dr. Schlosser is assistant professor of dermatology and director of the Women’s Skin Health program at the University of Northwestern Medical Center. Thank you for being with us today, Dr. Schlosser. Today she’s going to speak about hair concerns in a post-menopausal patient. Dr. Schlosser, what are some of the most common hair concerns you see in post-menopausal patients? It’s likely that the most common concerns that I see in my peri- and post-menopausal patients are two actually very different complaints. One is loss of hair or thinning of the hair on the scalp, and the other actually tends to be increased unwanted hair, specifically on the face. So can you talk about some of the changes that occur in post-menopausal patients, in regards to hair growth? Sure, absolutely. We know that with hormonal changes associated with menopause, there are multiple changes in the hair cycle on the scalp, specifically the growth phase, which is called anagen, decreases in terms of its duration. So the hairs actually don’t grow for as long a period of time. So they can’t reach as great a length as in younger years in pre-menopausal states. We also know that there tends to be a little bit more of a gap between anagen and telogen, and we also know that there are actually not as many hairs that actually grow from telogen, which is the resting phase waiting to be shed, that re-enter the cycle, then, into anagen, in terms of, it seems like there are fewer hairs that actually enter to redevelop new hairs. Other sites on the body are also affected. We know that overall, the hair on the body decreases after menopause. Ironically, however, hair on the face actually increases in terms of number, and it also becomes more terminal hairs, which are the thicker, darker, coarser hair, compared to vellus hairs. We don’t know for sure, but we do know that dihydrotestosterone, which is a potent androgen or male hormone that’s normally made from the ovaries, and also is actually produced in peripheral tissues like the hair follicle, because the hair follicle itself is actually an endocrinologic organ. We know that dihydrotestosterone is the main culprit in terms of the male hormone that influences hair follicle activity on the scalp and in other androgen-dependent areas of the face, specifically the beard area and the upper neck, as well as in other areas like the lower abdomen, the buttocks, the axilla, the mons, and the groin. But certainly the most common areas that are affected in post-menopausal women are the scalp and then the face as well. So, Dr. Schlosser, what does one see on examination of the scalp, what do you commonly find and what should we look for, as practitioners? The first thing that I do when a patient presents to me complaining of either hair loss on the scalp or actually increased facial hairs. I do a pretty thorough history, asking about their overall general health. I also inquire about other signs and symptoms that may suggest an underlying cause. So I’ll ask about, has their hair change actually been fairly gradual in onset, or has it been much more acute and abrupt? Has it been slowly percolating along, or has there been a rapid progression? If it’s more abrupt-onset or rapid progression, that may suggest a little bit more suspicion for an underlying endocrinologic abnormality. Certainly I’ll also ask the patient how much the hair abnormality actually impacts their quality of life, because I want to get a good gauge in terms of what their outlook is on things, and I also ask them, in terms of what their goals for treatment may be. Moving on to the examination, I think we also always want to go ahead and look at the overall health of the patient. We certainly want to check their vital signs, looking at weight, body mass index, distribution of their fat as well, and then also blood pressure, because certainly we know that increased hair growth on the face or female pattern alopecia can be associated with Cushing syndrome as well, in rare cases. I’ll also go ahead and assess and ask, before menopause, did you have a regular menses? Potentially, did you have difficulties in terms of conceiving, suggesting that potentially they might have had a tendency for polycystic ovary syndrome that just had never been diagnosed prior to menopause. And certainly in those cases, you also want to go ahead and look for other signs of insulin-resistance such as Acanthosis nigricans on the neck and the groin. For patients also, I’ll go ahead and assess, do they have increase in terms of seborrheic dermatitis, either involving the scalp or on the face, and then do they also present with hormonally-distributed acne on the face and neck in this population. In addition, it’s always important to realize that just because a woman is post-menopausal doesn’t mean she has to have hormonally-associated or female pattern hair loss. So we definitely want to evaluate and make sure that there’s nothing else going on. So looking closely at the scalp in terms of, is it a pattern that has no scarring associated, or is there scarring? Do they have associated evidence of inflammation of the scalp, whether that be erythema, which is redness, flaking, which is scale, and also pustules or erosions. Certainly looking at other sites, specifically the eyebrows and the eyelashes, most notably the eyebrows though, because we know that actually in the peri- and post-menopausal women, there’s a newly-diagnosed and more well kind of documented condition called frontal fibrosing alopecia, which is a scarring process. Very different than female pattern hair loss in the way it presents, and also the way it’s managed, and its underlying pathophysiology, we think, but definitely something important, not to miss, because it is a scarring process. So, Dr. Schlosser, for these patients, what are your first lines of therapy? How do you treat them? So I think after, if based on their history and their examination findings, as well as potentially directed laboratory testing for various hormones, if all of that is normal and we consider this just to be idiopathic either female pattern hair loss or idiopathic female hirsutism, I’ll often counsel, discuss first what’s their goal of treatment. In terms of female pattern hair loss, for the great majority of patients, especially those that have much more mild disease, we may pursue topical therapy with minoxidil first. So minoxidil goes by various brands, but it has been around since the 1970s. It was actually initially utilized as an oral anti-hypertensive agent, and in that patient population, they saw that patients were developing excess body hair. And so, that’s how it was triggered in terms of thinking, could we re-purpose this medication in a different format for a different patient population? It’s currently marketed and available here in the US as two percent liquid for women, and then it’s available five percent as liquid or foam for men. Now, that being said, in clinical practice, we oftentimes will recommend the utilization of five percent for women as well, and there’s at least one study that suggests the typical two-percent, twice-daily dosing, compared to five-percent, once-daily dosing is very safe in women, and actually has improved adherence to therapy and potentially less adverse effects, in terms of local irritation. So the re-labeling may occur with that. So that’s the first-line treatment for female pattern hair loss. Certainly, in terms of thinking about female hirsutism, you could think about the routine kind of more mechanical or chemical means, in terms of removing the hairs temporarily. So those are the shaving, the waxing, the plucking, the chemical depilatories that provide temporary improvement for patients, and many of them have already started to do many of those modalities by the time that they seek care in my office. If we’re thinking about patients with either more moderate to severe female pattern alopecia or female hirsutism that’s not responsive to one of those temporary measures, we could think about systemic therapy, either with an oral anti-androgen or something that’s an androgen-inhibitor. Specifically in the androgen-inhibitor category, we think about finasteride, which we know is marketed and approved for the treatment of male pattern alopecia, and also benign prostatic hypertrophy, but it is utilized widely off-label for the treatment of female pattern alopecia, and then also facial hirsutism, female hirsutism. That is an off-label utilization, and certainly we want patients to be appropriately counseled with regards to that. It has been shown, unfortunately, I guess I would say, in terms of medical therapy, when we look at the literature that is currently available, it’s a very small body of literature, and they are not very rigorous studies. The great majority of the reports are based on individual case reports or small case series. There are some open-label studies, but very few randomized, double-blind, placebo-controlled trials looking at efficacy of either finasteride or spironolactone or other medical therapies for either female pattern alopecia or also for female hirsutism. So for patients, oral finasteride may be an option. Oral spironolactone, which is utilized also, is an anti-hypertensive, and has been around since the late 1950s. That can provide potentially good benefit for both female pattern alopecia and for female hirsutism. One of the things I want to reinforce, though, is that whatever therapy is undertaken for patients, we need to go ahead and educate them at the beginning, that the progress will be very slow. It will not be a hundred percent. There are some suggestions that, in terms of female hirsutism, medical therapies can provide 25 to 30 percent improvement, but probably not anywhere close to a hundred percent. And an adequate trial in terms of duration of use would be at least six months, and some people would suggest more close to 12 months before either modifying dosage or changing medication strategy altogether. If you are just tuning in, we are here with Dr. Bethanee Schlosser, and we’re discussing the hair concerns of post-menopausal patients. And what would you say are the most common side effects that you see with some of these drugs, minoxidil and spironolactone? What are the common complaints you get from patients? Sure. In terms of topical minoxidil, it’s widely recognized that they can potentially cause a irritation reaction or a true chemical allergy on the skin, and oftentimes, that’s not related to the minoxidil, the active ingredient itself, but to a vehicle ingredient called propylene glycol. So in circumstances where that does occur in patients, you could actually have them utilize a formulation that does not contain propylene glycol, and that’s true for the foam formulation of five percent minoxidil that’s currently available. Otherwise, if patients are getting it too close to their hairline, they may notice that they have some increase in terms of facial hair development. So we want to have them apply it at least one inch behind the hairline to minimize that risk. In terms of thinking about oral spironolactone, I do warn all of my patients about light-headedness and dizziness, because we know it is an anti-hypertensive agent and a diuretic. Most patients tolerate it fairly well. We typically start at doses, starting at about 50 milligrams to 100 milligram-range, and the maximum daily dose is 200. GI side effects in terms of nausea, vomiting, abdominal pain have been shown to be fairly equivalent to placebo in the studies. The things that are more dose-dependent include things like menstrual irregularities, spotting between periods, and breast tenderness. Also, we want to make sure that patients understand that it is potentially teratogenic. It’s pregnancy category C, so in theory it could cause feminization of a male fetus, if in fact it’s utilized in a pre-menopausal woman who’s not using appropriate contraception. Some patients will also notice polyuria, at least in the first couple of months of therapy. That tends to resolve gradually with time as well, but overall, spironolactone is fairly well tolerated. It does require some laboratory monitoring in the form of renal studies to make sure there’s no issue with hyperkalemia or hyponatremia, and on very rare occasions, it’s been shown to cause some leucopenia as well. 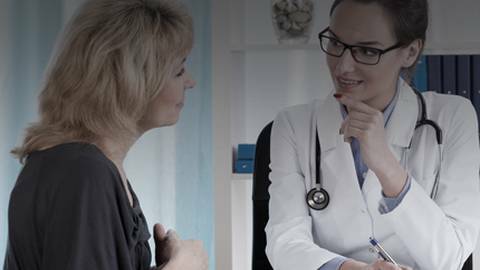 In terms of oral finasteride, we definitely want to make sure that patients are not contemplating pregnancy and that they are appropriately using contraception if they are pre-menopausal. It’s fairly well tolerated. The biggest side effect in studies that has been reported has been change in libido, and that tends to be persistent with ongoing therapy. And then, of course, potentially increased risk of developing increased body hair in other sites. So you mentioned a little bit about how you follow these patients through their therapies. Would you say you reassess them every six months or so, or is it different in each situation? It does differ a little bit individually on the patient. I will say that while I tell patients that go that we probably won’t be modifying therapy after, until about six months of treatment, I do see patients back sooner than that, and that’s for a couple of reasons. One, certainly you want to make sure that patients are adhering to the therapy, and if they’re not, you want to understand why. Are they experiencing different side effects for which the dosage needs to be adjusted, or potentially they’re not tolerating the medication at all. Have life circumstances changed? Have they been given a concomitant medication that you need to monitor for interactions, say, an angiotensin receptor blocker, an ACE inhibitor, and a patient taking spironolactone, all of those kinds of things we want to go ahead and monitor. And I think to some extent, just making sure that they’re not experiencing adverse effects, and that their goals of treatment are still the same at shorter intervals than six months is completely appropriate. Dr. Schlosser, that was such a wonderful review, and valuable information on hair loss in women. Do you have any final thoughts for our listeners? I would like to impress upon the listeners that I think female pattern alopecia and also female hirsutism are probably more common than we actually recognize or diagnose, and that’s probably for a number of reasons. I think oftentimes women probably figure that it’s a problem that they are having only, and they may not, they may hesitate to bring it up to their health care provider. So I would encourage female patients to seek care and express their concerns, and for providers also to actually inquire and not, don’t assume, based on your clinical assessment, with regards to the severity of their disease, that if they have mild disease, it has minimal impact on their quality of life, really assessing and dialing down in terms of the impact on quality of life. I would also like to suggest that while the data may not be great in terms of very rigorous studies in the medical literature, there are medical therapeutic options that are available that can be utilized quite safely in appropriately selected patients with appropriate monitoring and close follow-up evaluation. Thank you so much, Dr. Schlosser, for that great review. Thank you. I am your host, Dr. Prathima Setty, and you’ve been listening to ReachMD radio. If you missed any part of this discussion, please visit ReachMD.com to download this podcast. Thank you for listening. Host Dr. Prathima Setty is joined by Dr. Bethanee J Schlosser, Assistant Professor in Dermatology and Obstetrics and Gynecology at Northwestern University Feinberg School of Medicine, Chicago, IL. Dr. Schlosser discusses hair concerns and changes in post menopausal patients. She also addresses the importance of identifying the major causes, treatment options, and goals for patients who are suffering from hair loss of the scalp, increased facial hair and other hair changes. 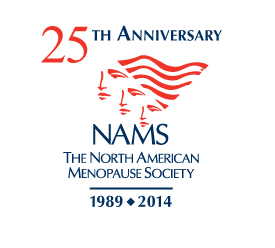 The interview was conducted live at The North American Menopause Society (NAMS) 2014 meeting. Founded in 1989, NAMS is North America's leading nonprofit organization dedicated to promoting the health and quality of life of all women during midlife and beyond through an understanding of menopause and healthy aging. Its multidisciplinary membership of 2,000 leaders in the field-including clinical and basic science experts from medicine, nursing, sociology, psychology, nutrition, anthropology, epidemiology, pharmacy, and education-makes NAMS uniquely qualified to serve as the definitive resource for health professionals and the public for accurate, unbiased information about menopause and healthy aging. To learn more about NAMS, visit www.menopause.org.